Templates are used to save content layouts, so columns, text/rich media components all have their set places, and once a template is loaded up all you have to do is add the content. The template builder works exactly the same as the article builder. From inside a publication, click the 'Templates' menu to access the Template Manager. Once a template has been created, click 'edit' to load the template editor. As with building an article, drag and drop the desired components onto the canvas, make any edits to the components such as Full Bleed for images, or adding help content. When the template is complete, select 'Save' from the toolbar. This template will now be shown as an option the next time an article is created. 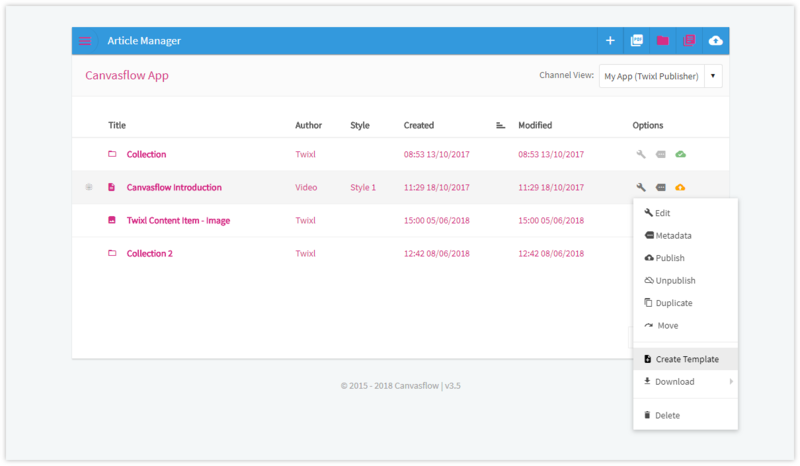 Templates are designed to help save time and ensure consistency, so with Canvasflow its possible to create a template from an existing article. To do this, select the edit icon next to an article and select 'Create Template'. 'Styles' are separate to templates. Styles are used to set fonts, colours and padding. Templates encompass only the basic component structure and initial content for an article. 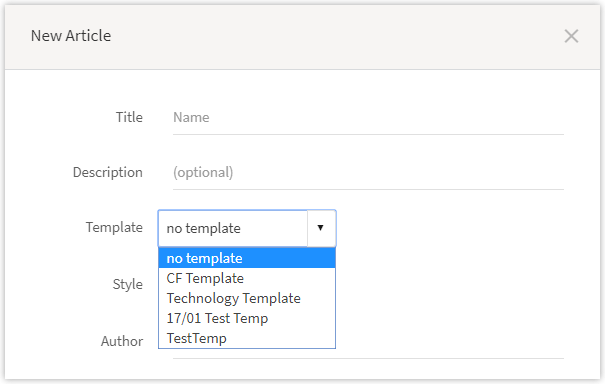 Currently, custom code components are not supported by templates.